A stunning semi abstract painting in soft creamy beige tones. 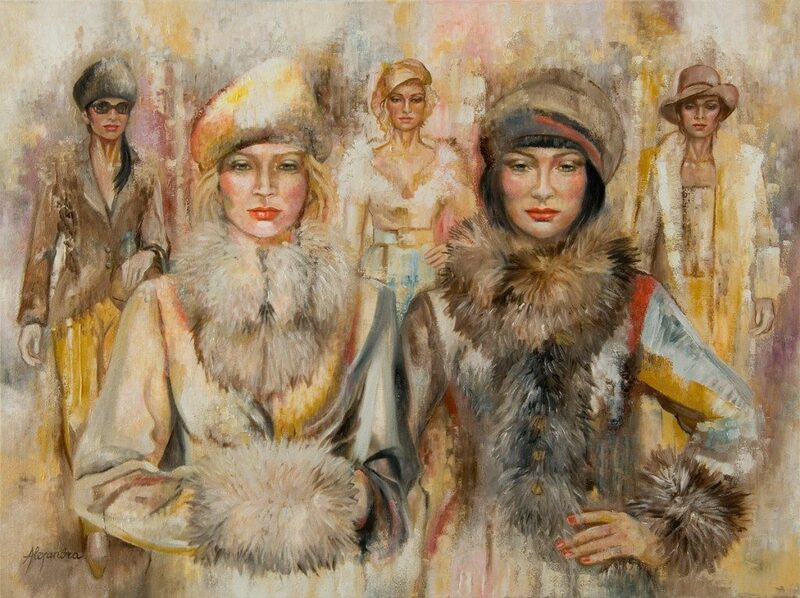 The assembly of beautiful models reflecting the Russian Climate by the textured furs they are wearing. A very classy piece of art.